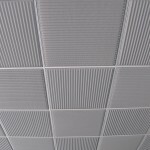 This highly versatile model can be used to create a wide variety of different ceilings; alternating tiles to produce a checkerboard effect or aligned to emphasize vanishing lines. 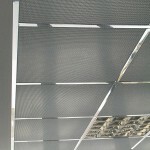 Possible finishes are plain galvanised, white or metallic grey. 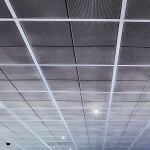 Other colours on request..
Aluminium ceilings with 54% open surface. 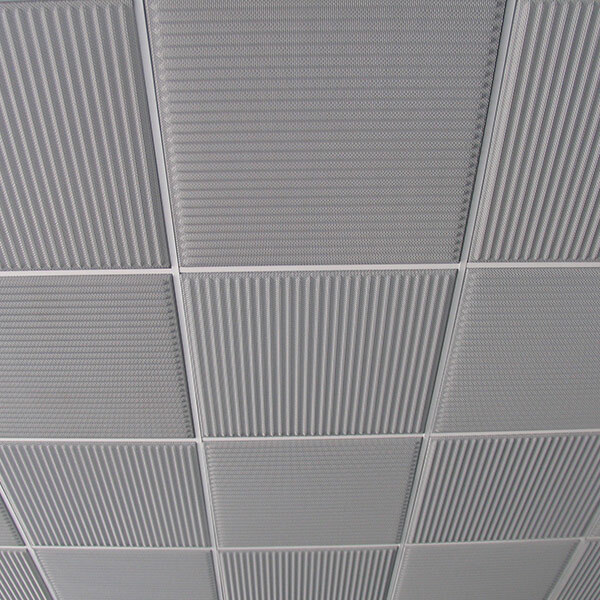 Flush flat ceilings with a great sense of continuity. Possible finishes are natural aluminium (matt or bright) or colours. Check the colour chart available. 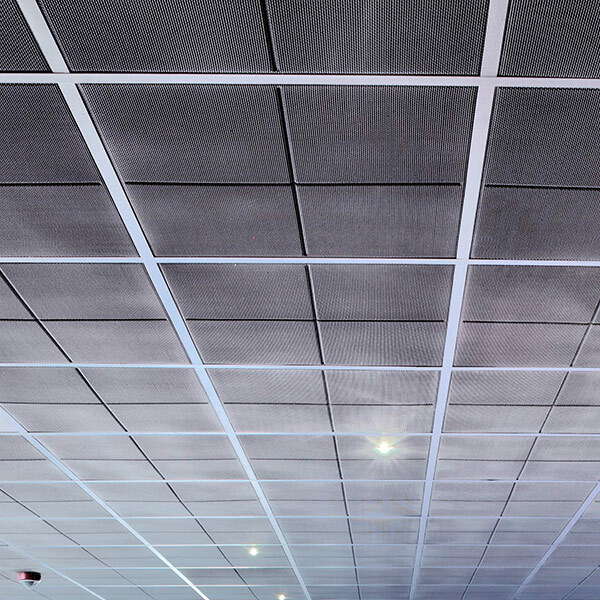 Flush flat ceilings that achieve an elegant grid pattern surface. 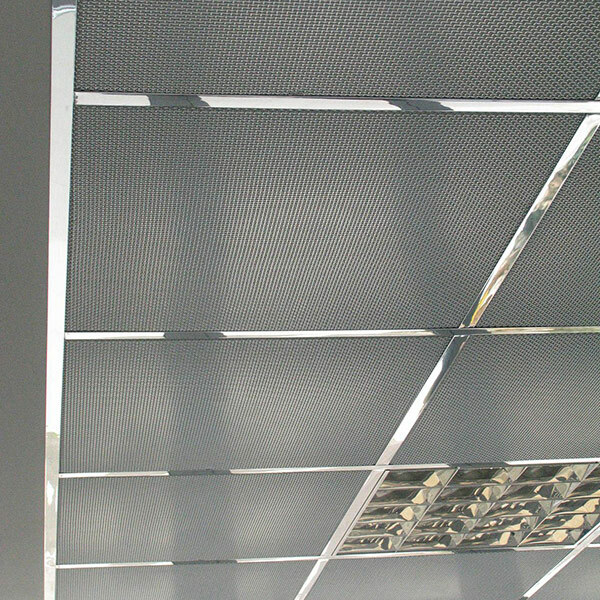 Possible finishes are plain galvanised, white or metallic grey. Other colours on request.